You save A$ 14.30 (-40%). No matter what types of personality you have, our T-shirts make a wonderful gift for anyone or even for you. So just keep calm and create your cool T-shirt now. Stay comfortable all day with the Short-Sleeve T-Shirt. Designed to withstand washdown conditions, without shrinking or tearing. Wide-cut arms ensure your arms don't become constricted. Features a ribbed neck for added comfort and ease of wearing. Fast printing, good quality tshirt. Wish you had a black tshirt to customize. The quality is better than expected. I designed a black shirt with "DAMN." in red with Angsana New which is definitely the font to use for that particular theme. The shirt came out great. So great in fact that I just ordered 4 more shirts themed around KDot. These are items I purchase from Printcious Gift. Gifts for myself. I know printcious from university of malaya. I have designed two tshirts with printcious for mental health awareness and the quality of the tshirts is amazing. Will shop again in the future ? please remember me, admin ? I sent a coaster and a mug to my friend and he loves it. Terimakasih kpd printcious sya sangat berpuas hati dgn desine n jenis kain baju nya.. Trbaik la... Nanti nak oder lagi...? It was a very fast delivery. The t-shirt, the tote bag was printed excellently. Good quality. Ordered a customized mugs recently. I am very happy with the products. it is well printed and the delivery was fast and efficient. I had no problem tracking my shipment. User-friendly, very efficient throughout the whole process, and super responsive with customer service! The t-shirts ordered were delivered promptly and the end products turned out great. :) Thanks guys! Handsome service! One of the best and maybe the only place you can make gift printing for someone special in Malaysia. I am so satisfied with the 3 T-shirts that I ordered via printious! It's really worth to do it for your loved ones as it's charging at affordable price and came out to have something special that you designed your own t-shirts, parcels and etc. The shirt was printed 100% based on my designed. It is also very comfortable to wear ???? Exactly as how I expected it to be! I like the design, so I bought it. Excellent quality. Cool & awesome t-shirt designs with quality printing. will definitely buy few t-shirts for myself. strongly recommended. I so love the slim fit for Kids. I'm excited to give my nephew the shirt. Hoping it will fit him perfectly!! ...love the customer service and also creativeness of this company! keep it up!! The shirt colour is nice & the customization tool is cool & user friendly. Received my tshirt today, fast delivery, well packaging, will order again on jigsaw puzzle. Received my personalised t-shirt from Printcious today. I only placed an order on Monday evening, so that was a very short turnaround time. The website is so easy to navigate. I ordered this for my friend's birthday as a joke but it was fun! He loves it a lot. The size is okay and the material is excellent. Shirt quality is nice, and the printed picture is what I expected, fast delivery from place order to receive the item is with-in 2-3 days. The material of shirt is soft..good quality ! Ordered mouse pad , button badge and ceramic tiles . I was very satisfied with the quality and the efficiency of the service . My first order with Printcious was a customized shirt. Now I order and receive my customized button badge for free from last month campaign, it's awesome. In future, Printcious will always be my first choice for customized thing. very very satisfied.... thank you. Ordered a t shirt and received in in just 4 days. 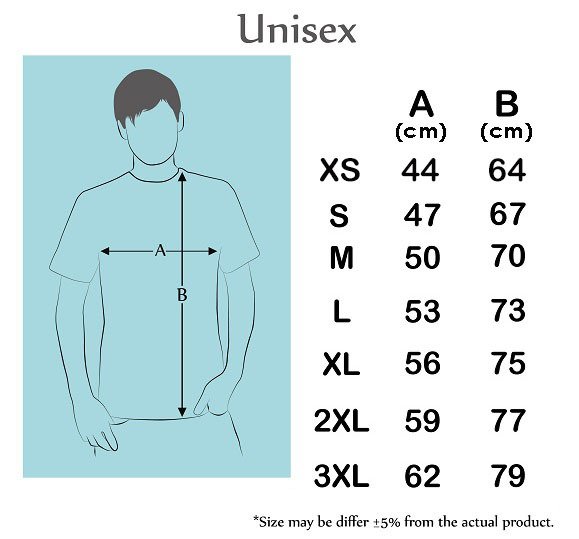 The quality of the tshirt is good and measurements were right on point. My son like the design. So I bought it. Every time my son see the design, he is very happy. Printing quality is good.